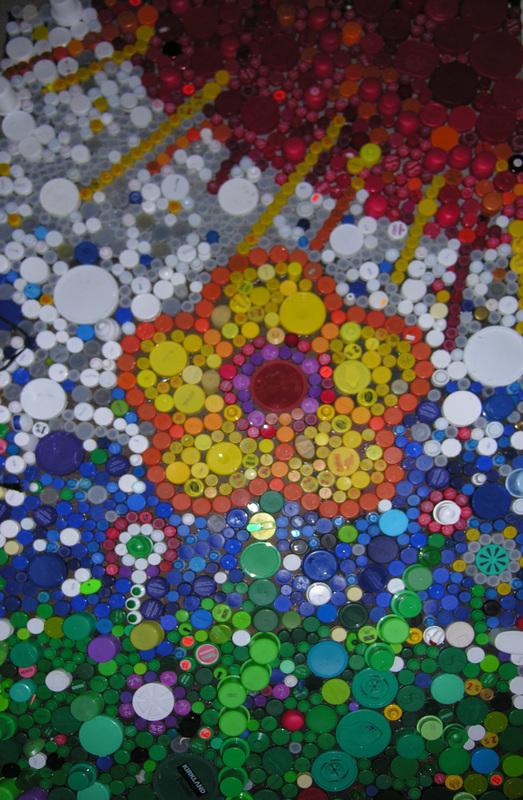 The 3' x 6' piece was the first large 'mural' made out of up-cycled lids that started the whole thing off. 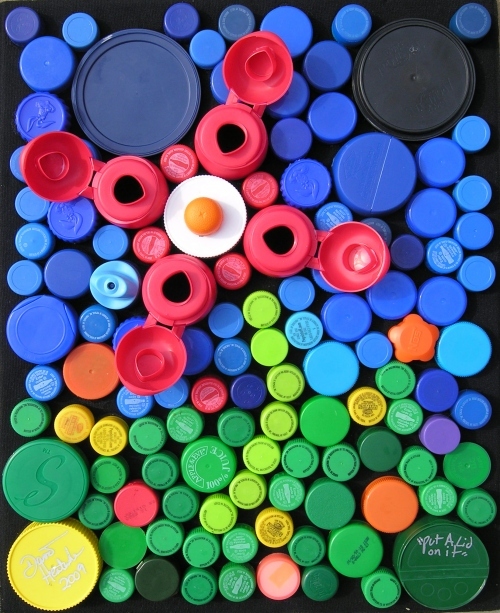 Artist David Heatwole and family collected lids for months in preparation for the first piece. 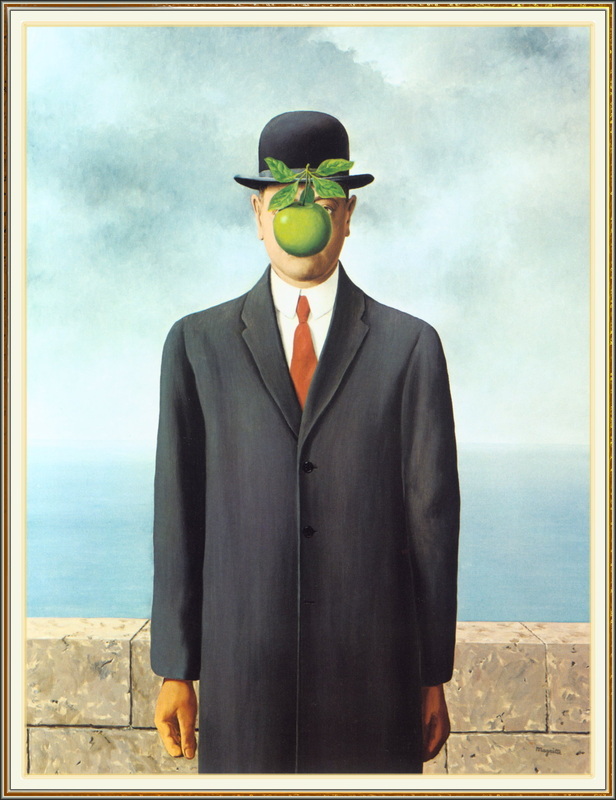 Heatwole, with help from his older children made this work of art. 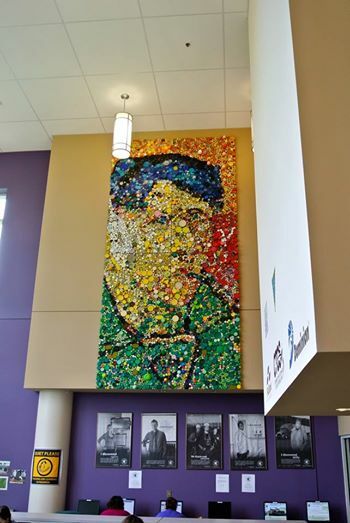 After it was completed and installed at the local Berkeley County Martinsburg Public Library the public was invited to work with Heatwole on the next, more ambitious mural based on a Vincent VanGogh's self portrait. 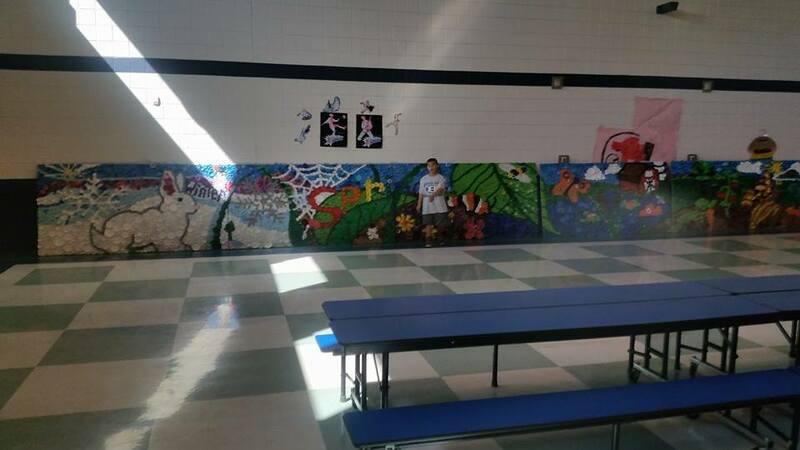 This was the first large scale Put A Lid On It mural project based on a historic masterpiece. 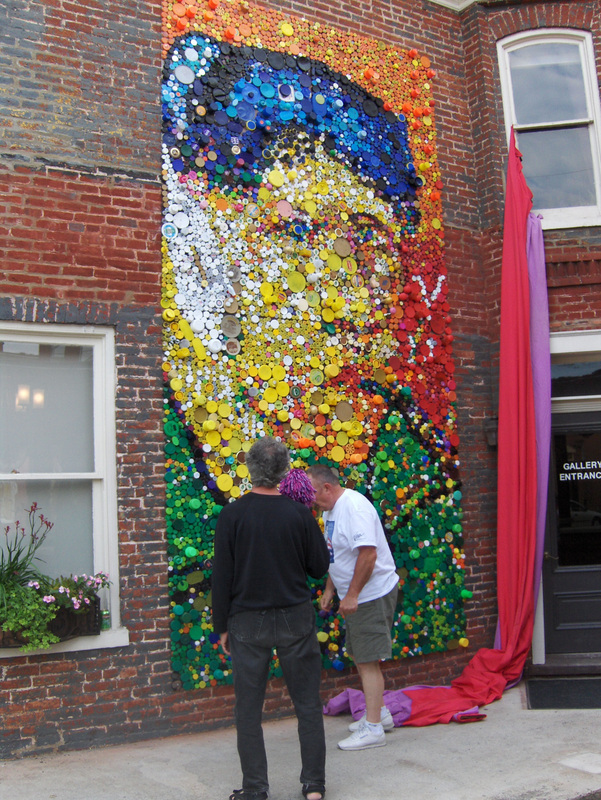 This time outdoors on the side of Red Brick Gallery in Historic Martinsburg, WV. To see more about this project click on the link below. 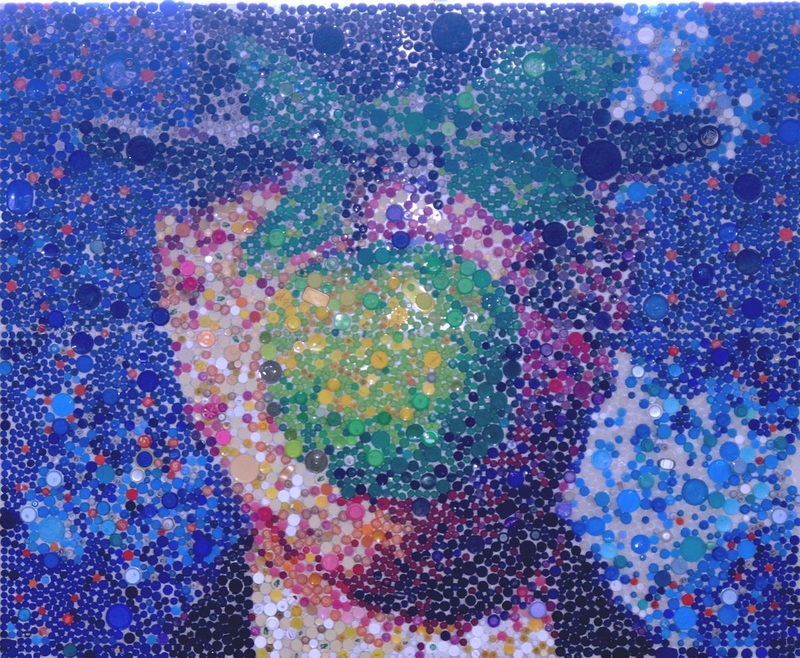 VanGogh was rescued by art collector Paul Yandura who saved it in a chicken house until another home was found for it. It ended up at the Eastern West Virginia Community and Technical College where it hangs in a prominent location. 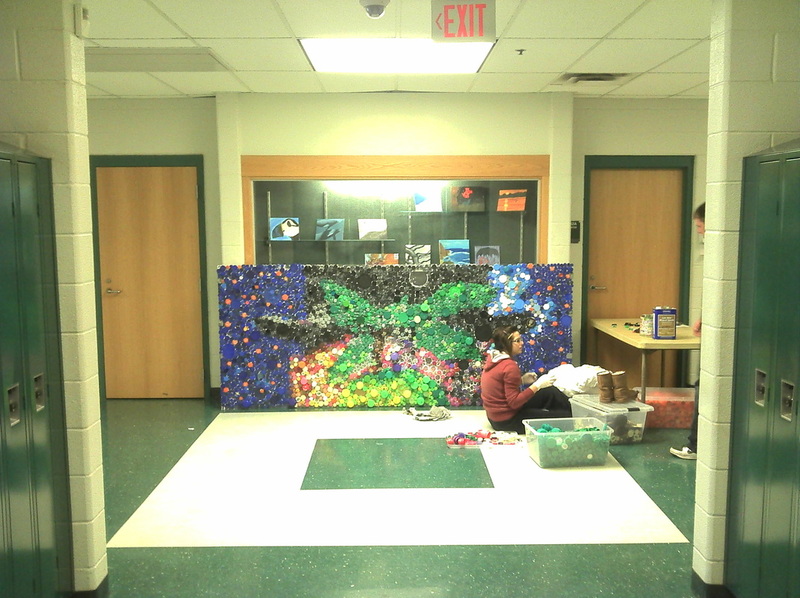 Thanks to Dr. Terrell and the art club there for putting it back together. It took about half a year to reassemble it and I think that they made it even better than it was! VAN GOGH IN THE MAKING - part of the process featured in a slide show. 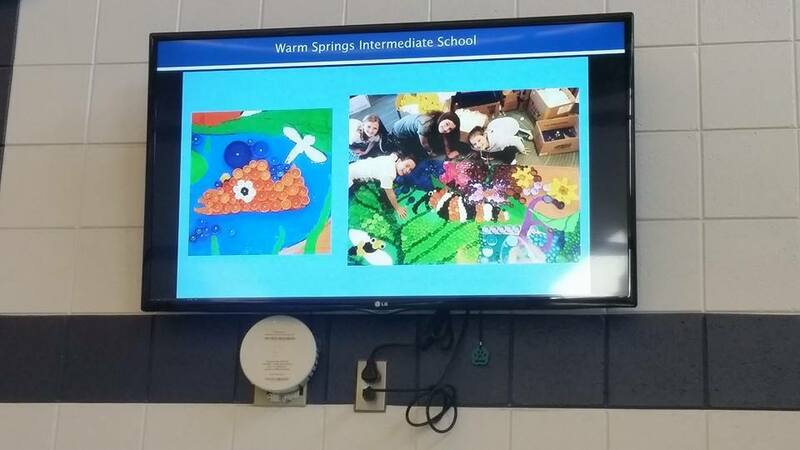 This was the first of two Masterpiece Art Kits made by Musslemen High School of Inwood, WV and purchased with a grant from The West Virginia Community Foundation. 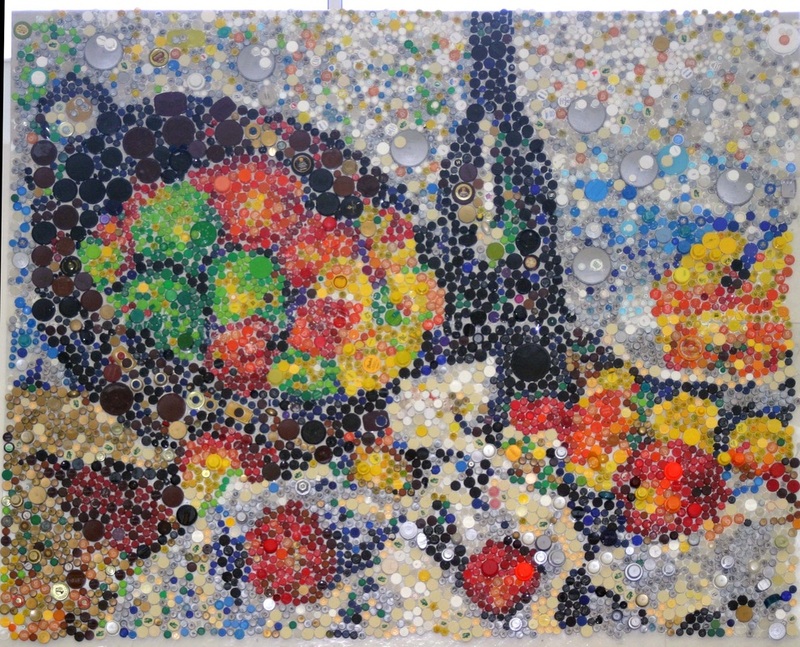 In regards to detail and the complexity of turning this still life painting into a piece that made sense using only a variety of plastic bottles lids was by far the most challenging. However, it worked! The highlights and the shadows all seem to work well from a distance and we were very pleased by the outcome. The honors art students from Musslemen High School did a great job. 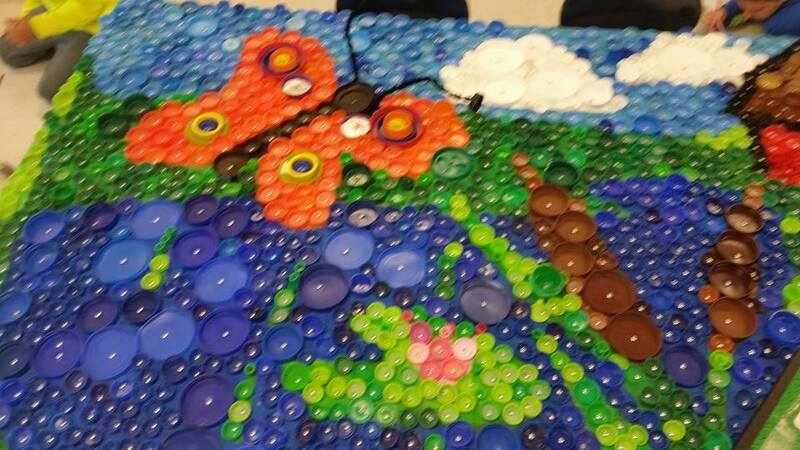 I was contact by the art instructor at Warm Springs Intermediate a few years back about creating a unique mural made out of plastic bottle lids. 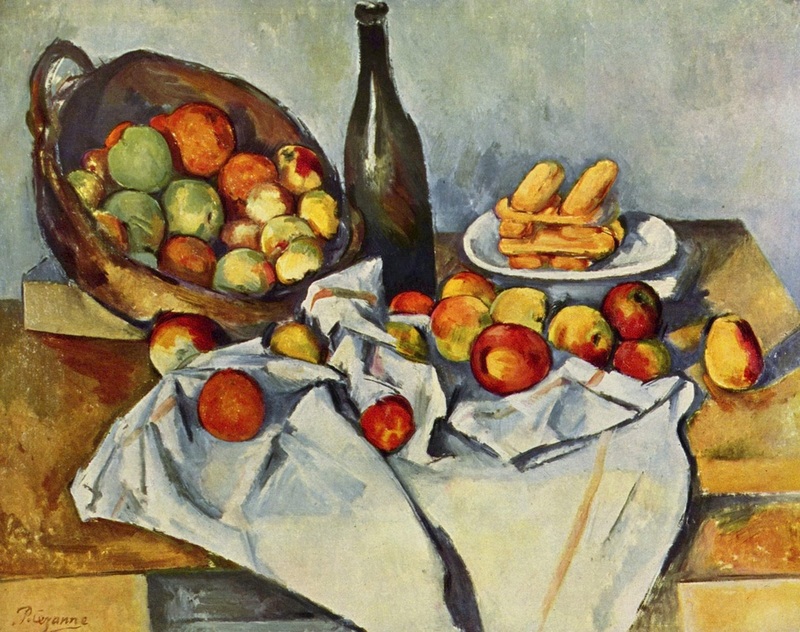 She was interested in an original creation versus recreating a masterpiece by an artist from the history books. We came up with a plan that would involve her entire school. After lots of planning, many many drawings to go through from the students and then time spent working on a final design we came up with this multi paneled piece titled "The Seasons" which represented each of the seasons. 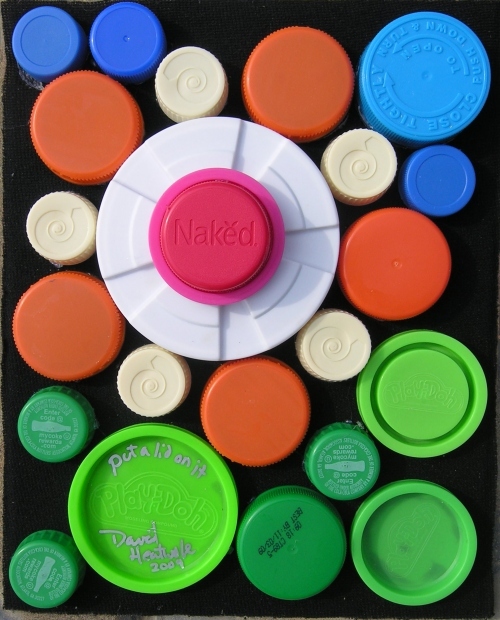 I am amazed at how well it came out and how well the students did screwing the lids onto the boards.